Madan Lal Yadav & Sons was incepted in 1997 and is engaged in manufacturing, supplying, exporting, wholesaling importing and service providing a wide range of Soda and Drinking Water Packing Machines. 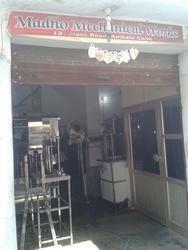 We have an interesting product line comprising of RO Systems, Soda Water Machine and Pet Blowing Machine. These products are known for being dimensionally precise, highly efficient, seamless in terms of finish and require low maintenance. They are used for making beverages in the food processing and beverage industries. We have constructed a massive infrastructural facility, which is segregated into various units for smooth functioning of the organization. Our manufacturing unit has access to latest generation tools for making a range of flawless products for our revered patrons. We source our raw materials from authentic vendors of the industry. We have a well-equipped quality control unit for analyzing the quality of the manufactured machines. We store our goods in a systematic and spacious warehouse, which helps in avoiding hassle during transportation and packaging. Our transportation facility is capable of handling bulk orders and ensures timely deliveries. We have appointed an experienced group of workers for streamlining the processing of our firm. Our clientele is wide, reputed and has made us its foremost preference. Our mentor, Mr. Madan Lal Yadav, is the source of inspiration of the firm. His business policies have helped us to achieve a reputable position in the industry. We maintain high level of transparency in all our business dealings. We have a reputed clientele situated across the globe. We have an adroit group of professionals and they are immensely talented. Our workforce is appreciated for being dexterous, dedicated, educated and working in coordination with each other. The team members are abreast with latest generation trends and techniques as they attend seminars and workshops regularly. We have created a benchmark in the industry by offering a wide range of optimum quality products to our valued customers. Our professionals are dexterous and committed towards the growth of the organization. We have a reliable vendor base for maintaining the set industry norms and the manufactured goods are checked for quality in a well-established quality control facility.